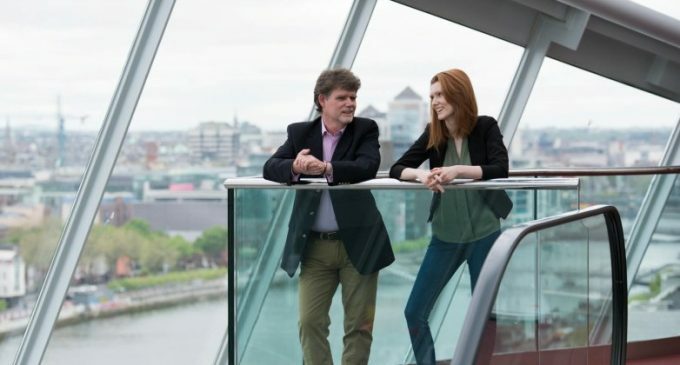 PM Summit, Ireland’s premier conference for project and programme managers, has announced the findings of a new study which reveals that 42% of project managers believe that they have less control of projects when their project team is working remotely. Only 10% of project management professionals believe that remote working gives them more control of projects, falling to 8% among IT professionals. The PM Summit is taking place at The Convention Centre, Dublin on Wednesday, 13th March. Early-bird tickets are now available at €275 for a single ticket, €250 pp for packs of two or €225 pp for a pack of three or more (Excl. VAT). The early-bird offer is available until February 15th. Refreshments and lunch will be provided throughout the day and delegates will also have the opportunity to interact and network with peers. For more information and to register for the event, visit http://www.pmsummit.global/register/. Pictured announcing results of a new survey, that reveals that 42% of project managers believe remote working reduces control over projects, are (L to R) Raymond Poole, CEO, PM Summit, and Vicky Poole, Co-founder, PM Summit.